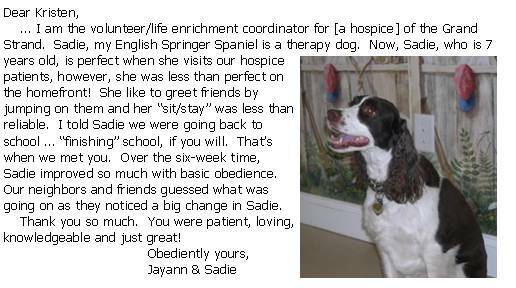 We are proud of our clients and friends and so happy to see successful pups! We would love to have you provide us with your review on Yelp. Check out Sunny Dogs Training Company on Yelp. Thank you! 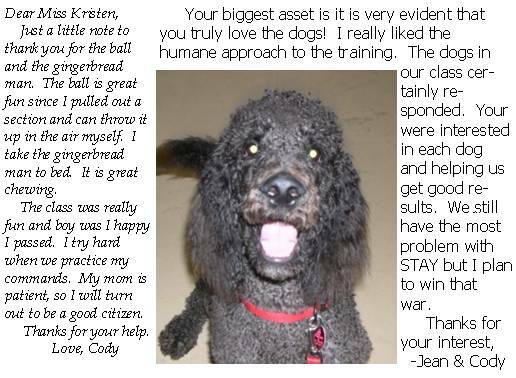 Keep up to date on e-news, local events, and upcoming classes and tips for success for you and your dog! Sunny Dogs Training Company practices positive reinforcement and humane training techniques to help build your dog's confidence and trust in you. We service the Myrtle Beach, SC and surrounding areas.